As Australian producer Flume (Harley Edward Streten) prepares to release his sophomore LP, Skin, he continues to tease us by dropping another single titled “Smoke & Retribution.” Coming on the heels of a previous release, “Never Be Like You” ft. Kai, this track finds Flume experimenting with hip-hop influenced beats and more understated synth work that can be found in his eponymous debut LP. “Smoke & Retribution” begins with screechy synth blips, syncopated against the underlying chords (a common tactic in Flume’s material). After the short intro, the beat drops and Staple’s first verse begins. The drums pull against the synths, creating an off-kilter and bouncy rhythm complete with hip-hop influenced hi-hat stutters and reverberating snares. Staples glides easily over the beat, and his nasal voice mirrors the thinner synth tones as he raps about sudden fame, and holding onto a person who has always been by his side. His first verse is filled with paranoia: he tells us that with his new fame come people who want to take it from him and describes tinting his car windows so he and his loved ones aren’t recognized. The chorus is where the track really shines, and KUČKA’s voice provides some much needed warmth and softness to the angled production. Playing the foil to Staples, she warbles over dark synths singing, “I held you to the ground cause you were floating/told me you’re afraid of disappointing/pushing on your physical existence/pushing only cause you felt resistance.” Here, she serves to ground our protagonist, metaphorically holding him down to prevent him from both getting a big head and from crumbling under the weight of public expectation. The next verse finds Staples addressing the other character directly, albeit still with pangs of paranoia (I love the way you stay away from me, you make me melt). Staples clearly finds some comfort in the thought of her, as even the threat of being shot as he walks through Ramona Park can’t bring him down. In the next chorus we find the song’s title, as KUČKA reaffirms Staples, saying that although society has certain desires of him, they should keep their fire going and continue down their own path. The track concludes with Staples telling us that he isn’t afraid to die, and apologizing for those he’s hurt along the way. All three of these artists are at a point in their careers where they’re beginning to struggle with the lifestyle that comes along with fame. Through the shrill, dark production quality and the saturnine lyrics, this track reflects their growing concern that their fame is separating them from their loved ones, and ultimately themselves. The only drawback to the song is that it keeps the same feels fairly static throughout, never really building to much of a conclusion. 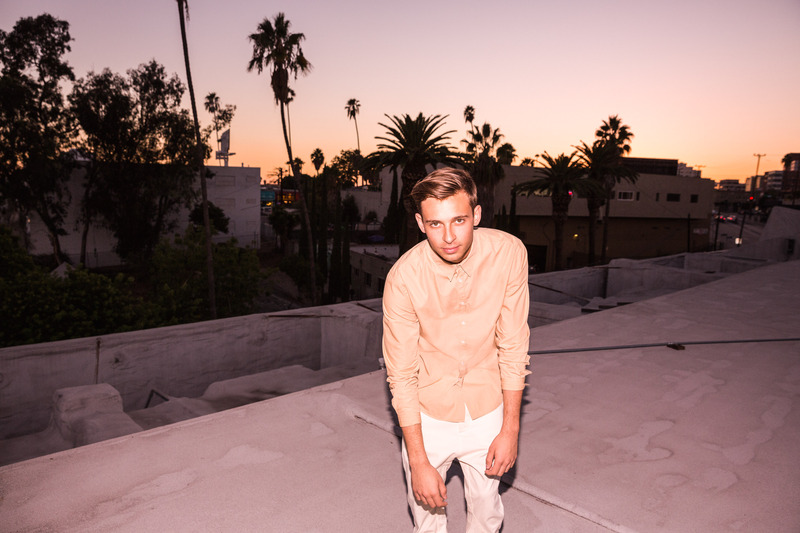 “Smoke & Retribution,” while not as catchy as previous Flume tracks, certainly hints at a more mature production style which may carry through his next LP. The song is worth a listen, and hopefully we will be hearing the full album soon.